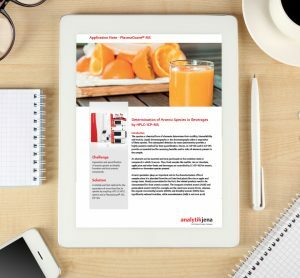 Analytik Jena is a leading provider of high-end analytical measuring technology, of instruments and products in the fields of biotechnology and molecular diagnostics, as well as of high quality liquid handling and automation technologies. Its portfolio includes traditional analytical technology, particularly to measure concentrations of elements and molecules, as well as systems for bioanalytical applications in the Life Science area spanning the highly complex analytic cycle of a sample from sample preparation to detection. Automated high-throughput screening systems for the pharmaceutical sector are also part of this segment’s extensive portfolio. Analytik Jena´s products are focused to offer customers and users a quality and the reproducibility of their laboratory results. Services, as well as device-specific consumables and disposables, such as reagents or plastic articles, complete the Group’s extensive range of products. Analytik Jena is part of the Swiss Endress+Hauser Group.